HTFs are used in refrigeration, air conditioning, central heating, heat pump, solar thermal and underfloor heating applications. Being one of the least expensive components of a system, they are however critical to the way it functions and how effectively it transfers warmth from one location to another and provide protection from freezing and corrosion. When HTFs age, they can become susceptible to the cold - common problems such as rusting, the formation of sludge and a change in viscosity can reduce the efficiency of systems. Therefore the need for regular maintenance and servicing is essential. It's always worth using a good quality HTF and one that contains corrosion inhibitors which can limit corrosion in water systems. 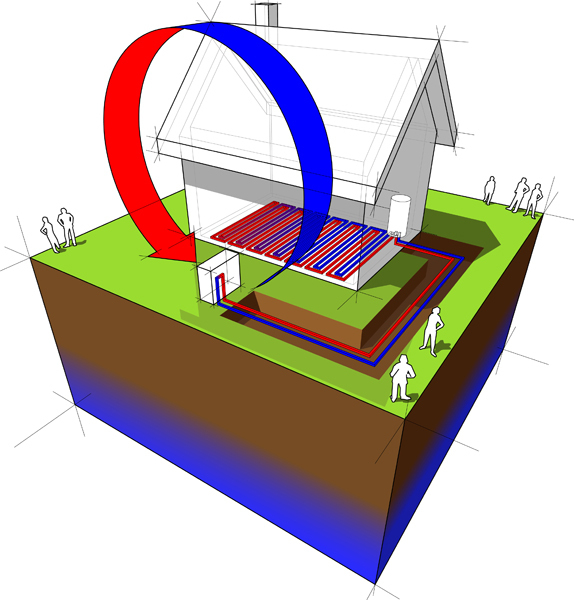 The frost protection of central heating and solar heating networks. The efficient transfer of cold production in the case of chilled water air conditioning systems and process cooling. We would like to emphasise the fact that high quality heat transfer fluids contain corrosion inhibitors and therefore limit corrosion in water systems. Don’t get caught out this winter when the ambient temperature drops below freezing. Make sure now that the strength of the fluid in your systems is at the correct level to ensure continued operation throughout the winter months. Climalife has produced and distributed heat transfer fluids for more than 30 years and offers an extensive range that come either as a concentrate or diluted ready to use.